Engadget giveaway: Win a SanDisk Extreme 2TB portable SSD! Looks like those Sony 2TB memory sicks we warned you about way back in January are finally coming to pass, and Sony Insider has dug up the details. 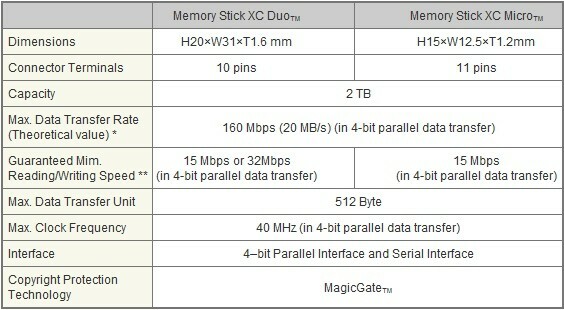 As appearing on Sony's oss-formats.org site, the Memory Stick XC keeps the current form factor for memory sticks (most likely these guys will be backwards compatible) with the XC series (XC Duo, XC-HG Duo, XC Micro (M2 XC), XC-HG Micro (M2 XC-HG)) using the exFAT file system, and the PRO series (including the PRO Duo, PRO-HG Duo, Micro (M2), HG Micro (M2-HG)) using the tried and true FAT12/16/32. 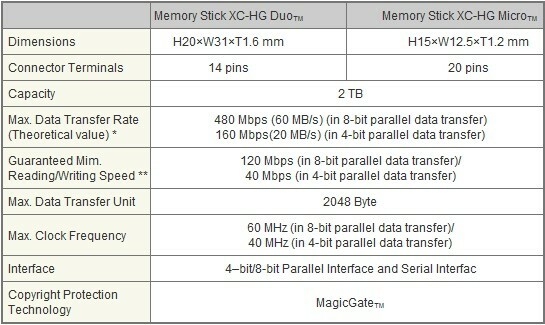 Memory freaks can thrill to the specifications for the new class after the break.